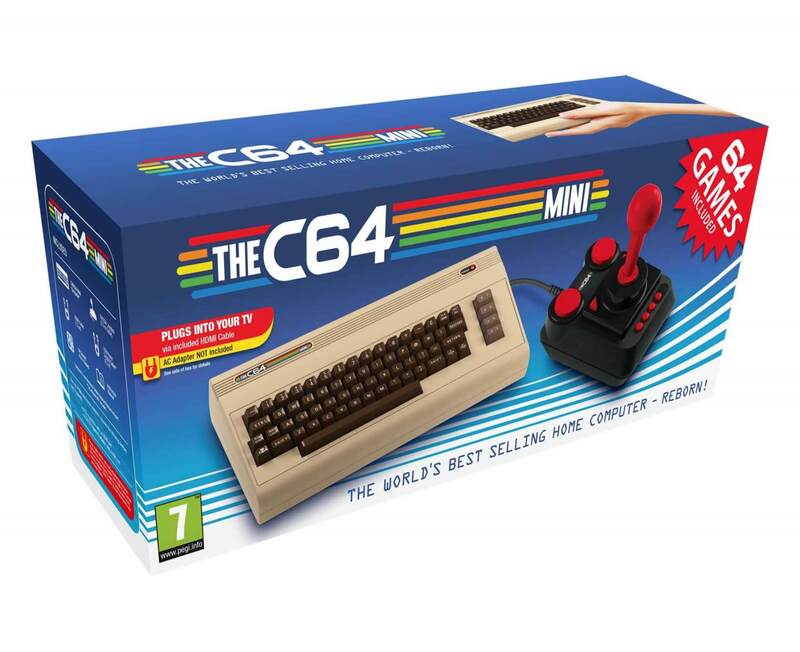 News of the Commodore 64 Mini, which comes from Retro Games, first arrived last year. It’s been available in Europe for a couple of months now, meaning any US residents have been forced to import the machine. But it’s been announced that the 80s throwback will officially hit American shores on October 9th. The Commodore 64 Mini comes with 64 pre-installed games, including California Games, Winter Games, Boulder Dash, Impossible Mission II, and the excellent Speedball II: Brutal Deluxe. The machine features two USB ports for connecting an extra joystick, allowing users to experiencing some multiplayer action. You can even plug in a keyboard (the one that comes with it is just for show) and use the C64 BASIC language to create your own software. Engadget wasn’t the biggest fan of the Commodore 64 Mini; it took issue with the joystick and the difficulty in adding new games. Still, it might be an easier, if more expensive, way to enjoy retro titles compared to using an unofficial emulator. No word from Retro Games on how much the Commodore 64 Mini will cost when it reaches the US, but it’s expected to retail for around $80. Why when I can pi? Please excuse my english, I'm european indeed, so I have to BEWARE all potential buyers of this fascinating device. Not because it is not something to smile about, for " old " c64 lovers ( and then, in my personal scenario, of AMIGA 2000 with Janus xt bridge...today considering differences in technology, have nothing similar, in the consumer slice of market). The PROBLEM is ( or was IF they have resolved like promised last year, and in this case I apology but I cant check nothing of this micro world in the last year, end of 2016 until start of 18), that the , THIS device have not real possibility to load in no way ( real old floppy driver of c64 or tape with games, I have only floppy and a postmarket device to link any tape recorder to my commodore, in some way linked to the new device, or rom created from your personal floppy or downloaded from web...in no way, indeed) any game or software. Have many ( but not so many) games preinstalled and a promise to resolve the issue and let to install or use in any way ever game you liked or remember. IF they solve this, it is a MUST to have and after you bought it, can start to dream same idea versus AMIGA, any model it is ok, any before 4000 because after it is no more retro compatible. Sorry 4 my eng ( and I still no use translators, no any time, no this time...), but I signed to this site to say all of you this info hoping do more pressure to solve the problem ( s).